What’s the Price for the 2019 Acura RDX? How Many MPG Does the 2019 Acura RDX Get? What’s New for the 2019 Acura RDX? Until 2006, the MDX served as the smallest, most affordable SUV available from Honda’s luxury marque, Acura. For the 2007 model year, Acura introduced the RDX, which took over the MDX’s place as the division’s entry-level crossover SUV, while the MDX grew in size and price. For 2019, the Acura RDX kicked off its third generation of production. 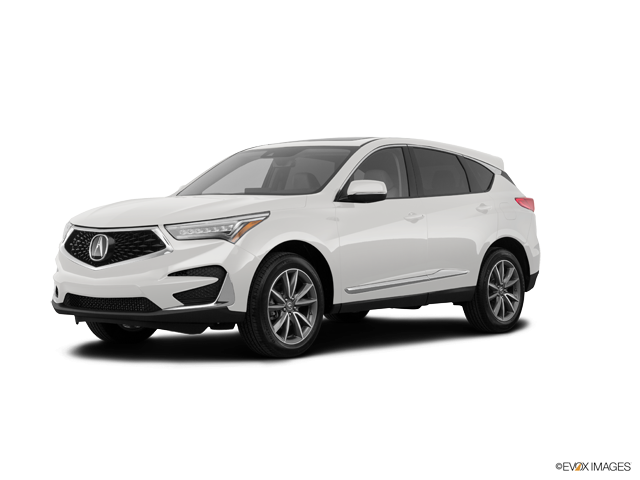 In addition to the base-level Standard model, the 2019 RDX is available with Technology, A-Spec, and Advance Packages. As a brand-new model—and thus the first third-gen model year—the 2019 Acura RDX is powered by a 2.0-liter turbocharged inline 4-cylinder engine that produces 272 horsepower and 280 lb-ft of torque. It comes with idle stop technology to avoid unnecessary fuel consumption by eliminating engine idling. Pinned to the engine is a 10-speed automatic transmission with paddle shifters, with sport pedals appearing with the A-Spec Package. Although the front-wheel drive is standard, you can opt for the Super Handling All-Wheel Drive system for boosting performance on surfaces made slippery by rain, snow, or ice. With two rows of seats for up to five people, the 2019 RDX provides 104 cubic feet of passenger space. Standard cargo space is measured at 29.5 cubic feet, with the option of folding down the rear seats to expand it to 58.9 cubic feet. Leatherette sport seat trim, a leather-wrapped steering wheel, and heated 12-way power-adjustable front seats with power lumbar support are standard. The Technology Package introduces stitching-contrasted perforated Milano leather seating, the A-Spec Package comes with front-seat ventilation, and the Advance Package upgrades the RDX with 16-way power adjustability and lumbar support and steering-wheel and rear-seat heating. Standard comfort and convenience features on the 2019 Acura RDX include adaptive cruise control, Bluetooth wireless technology, active sound control, an auto-dimming rearview mirror, a garage-door opener, a 7-inch color multi-information display, a nine-speaker premium audio system, a USB port and auxiliary audio jack for playback from portable devices and a second USB port for charging them, a single-disc CD player with WMA and MP3 playback, SiriusXM satellite radio service, speed-sensitive volume control, a mobile hotspot, the True Touchpad interface for executing infotainment functions, AcuraLink remote connectivity, Siri Eyes Free virtual assistance, hands-free texting ability, Apple CarPlay smartphone integration, and a 10.2-inch high-definition dual content center display. The Technology Package enhances the RDX with features such as voice recognition, a 10.2-inch touchscreen navigation system with a 3D view, two additional charging-only USB ports (in the rear), Song By Voice technology, and a 12-speaker Acura/ELS Studio premium audio system. The A-Spec Package provides 16 speakers on the Acura/ELS Studio system, and it’s the only one with a special red-on-silver gauge cluster and ebony headliner. Unique to the Advance Package is a 10.5-inch head-up display. For safety and security, the 2019 RDX comes with features such as a multi-view rearview camera with dynamic guidelines, vehicle stability assist with traction control, a four-wheel anti-lock disc brake system with electronic brake-force distribution and brake assist, agile handling assist, collision mitigation braking, lane keep assist, road departure mitigation, forward collision warning, lane departure warning, LED daytime running lights, hill start assist, a theft-deterrent system, and eight airbags. The Technology Package brings in front and rear parking sensors, a blind spot information system, and a rear cross-traffic monitor. And the Advance Package replaces the rearview camera with a surround-view one. For a test drive of the 2019 Acura RDX, visit us at our Memphis, Tennessee, dealership today. We make customer service our top priority, as evidenced by favorable aggregated reviews on Google, Cars.com, and DealerRater.com. Call us today to set up an appointment with one of our Acura sales specialists. * Prices shown are Acura suggested retail prices only and do not include taxes, license or destination and handling charge. Destination & Handling charge is $995 for sedans and $995 for SUVs. Acura vehicle accessory costs, labor and installation vary. Dealers set their own prices. Please consult your selected dealer. ** Based on 2019 EPA mileage ratings. Use for comparison purposes only. Your actual mileage will vary, depending on how you drive and maintain your vehicle, driving conditions, battery pack age/condition (hybrid only) and other factors. 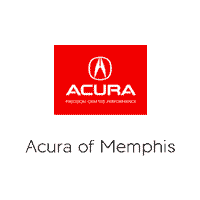 Acura of Memphis	35.07686, -89.860692.